When most people think of rental housing, single-family homes, apartments or condominiums come to mind. But one ideal alternative to these more conventional types of rental housing units are mobile homes. Renting a manufactured home certainly has its benefits for the right type of tenant, and we’ll cover how to find a mobile home rental, the pros and cons of it and more in this post. How Do You Rent a Mobile Home (and Where Do I Find One)? MHVillage: This is one of the best resources for buying, selling or renting a mobile home. It allows prospective tenants to enter their zip code and browse listings by area and by the mobile home community. Unlike the other resources on this list, MHVillage is 100 percent focused on manufactured housing listings. It also offers value-added information, such as how to get rental insurance, selling guides and buying guides. Airbnb: Though Airbnb is more of a resource for cost-conscious travelers, it can be a great resource to secure a short-term rental on a mobile home too. MHBO: Like MHVillage, MHBO is 100 percent focused on the buying, selling and renting of manufactured homes. One neat feature is that it allows users to sign up for property alerts based on customized settings. Other resources: Though they may not be as credible as the resources we’ve listed above, websites like Craigslist.org and browsing the classifieds section of your local newspaper can also help you find an ideal mobile home rental. Cost: We’ll touch on this a bit more thoroughly in the next section, but affordability is arguably the biggest reason to rent a mobile home. Mobile homes can typically be rented for far cheaper than other rental properties. Location: You know what they say about real estate – it’s all about location. That’s actually one of the big benefits of renting a mobile home, as the lower price point gives renters more flexibility pertaining to the location they choose. For instance, a renter may not be able to afford a rental home or an apartment on the beach, near the mountains or in other prime areas of real estate. However, the lower rental cost of a mobile home can help make this sort of desire more of a reality. Flexibility: Yes, you can straight up rent a mobile home – but because mobile homes can be moved, they offer a lot more flexibility in this type of arrangement. For instance, maybe you rent a mobile home with the intention of moving it to a piece of land you own. Or maybe you rent a mobile home and a piece of land. There are a lot of rental options with mobile homes. Spaciousness: Obviously, this benefit depends on the type of mobile home you rent, but generally these units are more spacious than a standard apartment. Tenant rules: As is the case with most rental properties, mobile home tenants will have to abide by the rules of the rental agreement and of the community that they’re residing in. Failure to do so may result in eviction. Quality: Though this is a very subjective point, many perceive a mobile home rental as a lesser quality option than a single-family home or apartment. Again, this all depends on the mobile home you’re interested in and the comparative quality of apartments and homes that you’re considering. In some cases, this may be accurate. 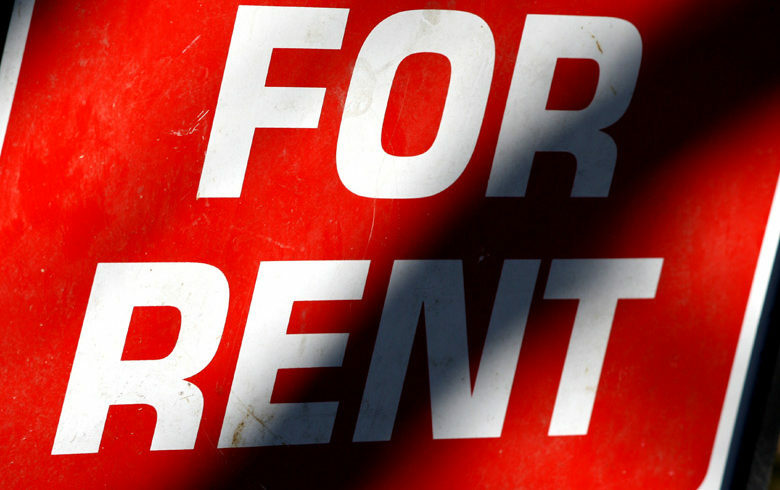 In others, quality may be on par or even slightly better than other rental options. Other cons: A good landlord will make tenants purchase renter’s insurance, whether they’re residing in an apartment, single-family home, condo or mobile home. This is an additional monthly cost you’ll have to budget for. Additionally, one of the biggest disadvantages to renting is that tenants don’t build equity each month, contrary to how a homeowner does. Like we mentioned above, one of the biggest benefits to mobile home rental is the affordability of it compared to apartments, condos and single-family homes. According to USA Today, when it comes to rental costs of mobile homes, most tenants have to account for both land rental costs (which average between $200 and $300 per month) and actual unit costs (which come in at about $500 per month on average). That’s less than $1,000 per month for a mobile home rental, which makes this price point very enticing compared to others. What’s more is mobile homes are typically very affordable when it comes to utilities costs. In fact, it’s not uncommon for water bills, gas and electricity to cost less than $1,000 for the entire year. It’s also worth noting that rental costs vary by location, quality of the mobile home unit and more. The affordability and flexibility of renting is part of the reason why homeownership has decreased since the early 2000s, especially among the 35-and-under population. Mobile homes are one renting option ideal for tenants looking to spend less on housing and more on other things in life.